Our good friends at The Chisel recently teamed up with a number of fancy-pants universities and nonprofits to run a nationwide survey of Americans' core values. They surveyed 34 major issues encompassing the economy, social justice, liberty & regulation, health & education, infrastructure, foreign affairs, and governance. They built the wording with a cross-partisan panel to make sure the questions weren't weighted. This study was funded and supported by the Bridge Alliance, a cross-partisan network of dozens of groups working together to fix US politics (including us). They found some surprising stuff. I have a copy of their survey as a book, and found the disagreements really interesting as well. It's perhaps not surprising that there are indeed some different priorities deep down. 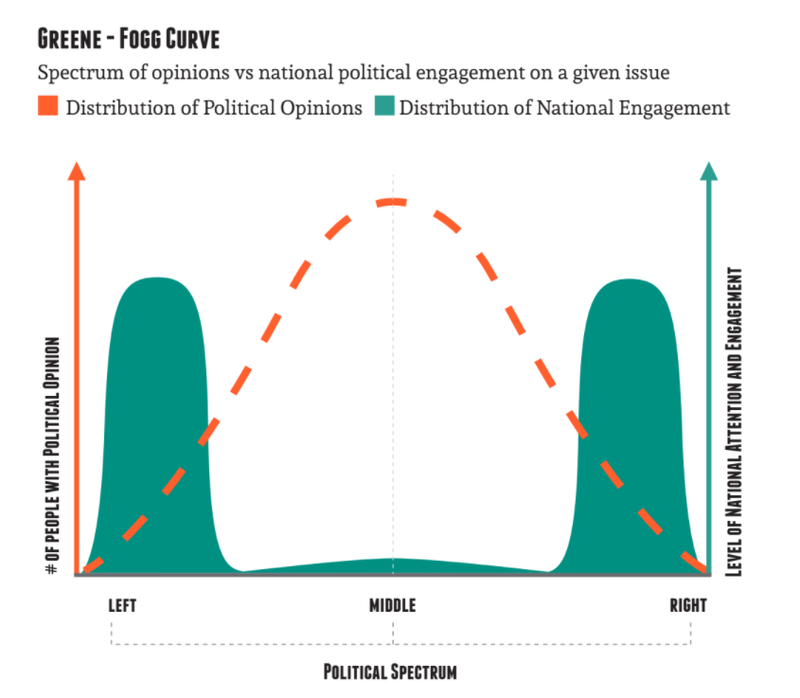 But given how many values are really shared across the political spectrum, this survey solidifies the wedge hypothesis: what we see in political media and national politics simply doesn't reflect what most Americans feel. We let ourselves get caught up in the fighting, but when we take a step back and look at our core values, we frequently have the ability to start at a place of agreement. Skeptical? Can't blame you. Read their methodology. Better yet, get yourself a copy and look for flaws in the study. The ReConsider Moment here is this: if you're reading this, you're someone who cares about the direction the US and the world is taking, and you already know that we need to change our patterns of behavior if we're going to fix our problems. And you care about facts. If your brain is currently operating under the assumption that you share few or no values with someone who identifies differently from you on the political spectrum, your conversations are likely to be dead in the water. But if you can hold this hidden--but important--reality in your mind when you have these conversations, you're bound to make far more progress. Knowing that we're often coming from the same place can help you forge understanding and agreement where it otherwise seemed elusive. And that's the work we need to do. One conversation at a time.